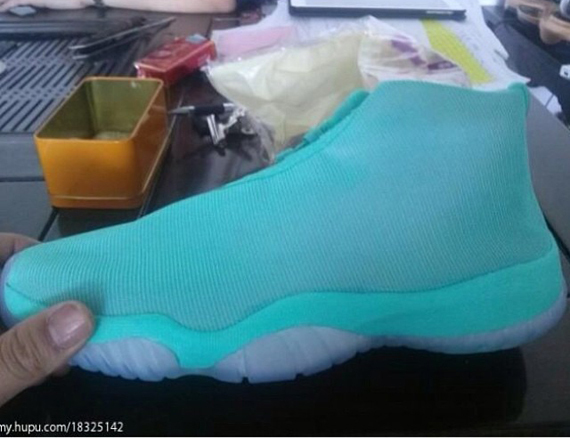 The much talked about Jordan Future will also be hitting later this year in a vibrant mint-based colorway. Unlike most looks for the all new Jordan Future, this upcoming colorway utilizes a full mesh build over a traditional Air Jordan XI tooling. Mint covers the entire upper and Phylon midsole, while an icy outsole finishes them off down below. Stay tuned to Sole Collector for further details on the 'Mint' Jordan Future.